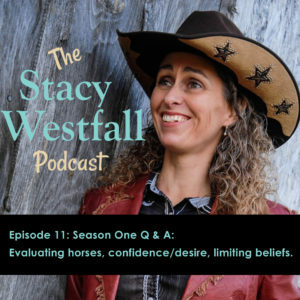 In his episode, I am going to cover evaluating a new horse, overcoming loss of confidence and desire, and how to overcome the limiting belief that horses hate being ridden. [01:13] Question one is from Leann in Canada. 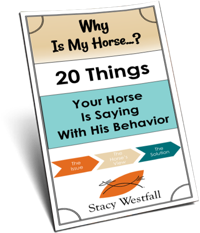 She asks my perspective about acquiring a new horse and how to best assess which phase the horse is in and what needs to be done to bring the horse to a new level of understanding? [01:58] I keep two things in mind at all times when evaluating a horse. Number one is who are they, and number two is what training level are they at? [02:21] Looking at who a horse is at its core is how it interacts with other horses and with the herd. Patterns will also develop. [04:15] It’s almost easier to get a naturally timid horse to follow a strong leader, because that horse actually needs a strong leader. [05:31] There is a way that the horses are at their core. [05:46] Training can accentuate or mask certain habits. [07:01] I’m always evaluating who the horses are and what their training level is. [09:20] I’m constantly training and then testing. During early training the horse may not know the answer to my test or pop quizzes. The test is to find out what the horse knows. [10:05] When I get to the horses mind and the horses body series, I’m going to talk about what grade school, high school, and college-level mean for the horse. [10:53] Because I train my horses from start to finish, I have all of the levels very clearly in my mind. [12:24] In the series on Stacy’s Video Diary, you see Jac go from kindergarten to high school but not into college. [13:42] The second question is from a 62 year old woman who lost her Mare. She also lost her will to ride. She bought a new horse, but she has lost so much of her confidence and riding ability. She wants to show her new horse. How can she get her confidence back? [15:10] I had a similar experience of losing a horse. Confidence, ability, and desire are the three things that stand out to me when I listen to your question. [15:38] In 2012, I lost my horse Vaquero. It really affected me, and I didn’t do much for the next two years. [17:03] One of the reasons I had trouble moving on was because I was stuck on some of the things that I didn’t accomplish with Vaquero. [18:06] It felt like I was living between two worlds. [18:51] Confidence is the state of feeling certain. Your world can be shaken with the loss of a horse. [19:28] I also began to drag my feet, because I knew how much time it would take to create my next masterpiece of a horse. [20:03] You need to reflect on what feeling certain means to you and how you can become more certain. 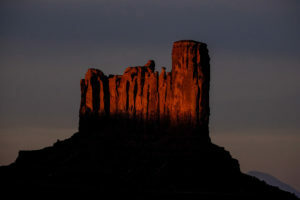 [20:41] For me, I needed to separate the desires I had for Vaquero with the next horse to come. [21:48] Is your desire for you to be seen with a one-in-a-million horse or is it a desire for you to accomplish something with this horse? [22:40] Get clear on what your desire is. [23:14] If you’re going to acquire the ability to do something, it’s going to take practice and riding is a physical sport. [24:46] Ability is tied to confidence and a feeling of being certain. Journaling could be helpful. 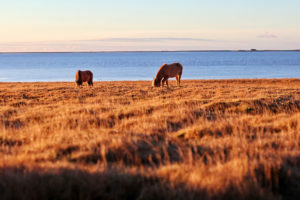 Give yourself permission to miss your mare and move on. [25:37] Our final question is from France. Sophie believes that horses hate being ridden. She loves her mare, and wants her to be happy. Because she believes the mare doesn’t enjoy being ridden, she doesn’t take pleasure in riding the horse. [27:12] Everyone draws their own lines about what they believe. You have drawn your line between mounted and unmounted. [28:15] I would challenge you to move your line backwards and see how you came across this line between riding and not riding. [28:58] Would you accept if your horse wasn’t happy standing for the farrier? Find what you are willing to do that the horse may not be happy with. [29:50] Take a piece of paper and write down everything horses could possibly hate about being ridden. Break it down into very specific things. [31:22] Challenge your belief by exposing yourself to people with different beliefs and looking at your own life. [32:27] Do you believe discomfort can be for your benefit? If I believe discomfort is good for my own body, I can naturally transfer that over to my horse and say that some discomfort is good for them. [34:16] Explore other words that might be triggering you like the difference between confidence and insecurities or learning versus ignorance. Other examples are board versus stimulated and mature versus immature. [35:59] Use treats and rewards. [38:01] Some horses enjoy work more than others the same way some people enjoy work more than others. [38:53] Horses have temperament differences. Take all the evidence of everything your horse hates and look on the internet and find evidence that contradicts each of these pieces of evidence. [40:38] Keep in mind that you become who you hang out with. [41:37] My job with my horses is to keep them healthy, safe, and equip them for the world they live in. [42:59] Thanks for all of the comments and feedback. I listen to and read them all. Wow – this was an information-packed episode! 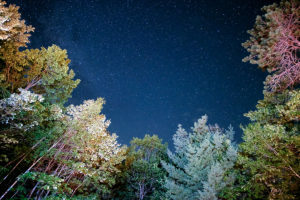 Though I didn’t have these questions myself, I did identify with a few things your second caller shared and that you shared as well in regards to being deeply affected by the loss of a particular horse. Stacy, thank you for being not just introspective, but for being able to break down your introspective process to share with us. 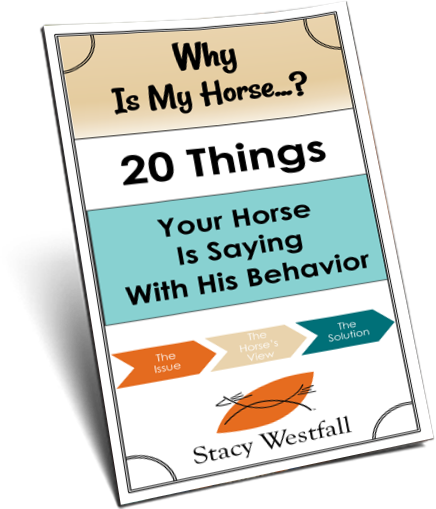 Learning how to get in touch with not just how you’re feeling but what is likely causing you to feel that way is a powerful tool, invaluable not just when working with horses but for life in general. Uncovering that “why” is an area I have a lot of room to grow in, and your advice to these callers was eye-opening to me and encouraging! Thank you again! You are very welcome! I was questioning myself pretty heavily during the recording of this episode. I was questioning the length of the episode, the multiple directions and the introspective ‘loops’ I was going on. (I think in circles…too much reining/dressage/training?) It means a lot that you took the time to listen and then find your way over to the website to leave this comment.